GE reported disappointing third quarter financials. CEO John Flannery has outlined his turnaround plan and bid to come back from the 'unacceptable' results. 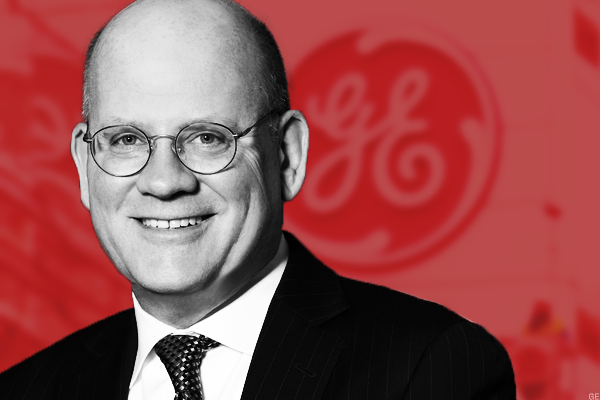 General Electric Co. (GE - Get Report) is headed for a turnaround with focus on breeding candor within the company's culture, increasing operating rigor and reviewing capital allocation, CEO John Flannery said in an interview with CNBC. Flannery outlined the three key issues he hopes to address after GE's third quarter financials disappointed investors, sending shares lower 2.5% on heavy trading volume early Friday. The company reported earnings of 29 cents per share, falling short of FactSet analysts' expectation of 49 cents per share. Flannery called the report "unacceptable." Of chief concern for investors is whether GE's "horrible" cash flow and questionable capital allocation will impact dividends. Many are speculating that the company will have to slash its dividend in the coming weeks. "We've talked about the dividend already," Flannery said. He noted that the final decision on GE's dividend and details on its capital allocation will come during its Nov. 13 investor day. Just after reporting earnings, Flannery said the company plans to sell or spin off $20 billion of its businesses within the next two years in a simplification effort. Boston-based GE didn't specify which businesses it'll shed. "Everything is on the table," Flannery said on an earnings conference call. "There have been no scared cows. Each GE business is being measured against a set of rigorous strategic and financial objectives." "I'm conscious of the fact that size and scale drive complexity. The company has many strong franchises, but a number of other businesses drain investment and management resources without the prospect for substantial reward," Flannery said on the call. "There's a significant amount of synergy in the things you shouldn't throw away lightly," Flannery said in a later interview with CNBC. "That said, we have to prove day in and day out that that format is optimal." "I'm not wed to any current format, I'm wed to running the company incredibly well and moving forward for investors," Flannery added. Flannery said GE plans to cut more than $2 billion in costs. He's made spending cuts a hallmark of his short tenure so far. "It's a pretty straightforward thing that we have to tighten the belt, lead by example and we have to run the company like we own it for the benefit of our owners," Flannery said in the CNBC interview. As for GE's 18-person board, Flannery reiterated that "everything is on the table." GE is often criticized for having a large board compared to its peers. "I think it's healthy to have a lot of pushback and debate between management and the board," Flannery said of the recent addition to the board of Trian's Ed Garden. Garden joined the board of directors earlier this month. Much of GE's poor third quarter performance was driven by disappointing results in its power unit. "We haven't run this business well. We're way too optimistic about where the market was going, too aggressive on building inventory into a weakening market and we got stung this quarter," Flannery said. GE's power business in particular was "horrible," Flannery noted, but the rest of the company did "quite well." Flannery called the power unit's lackluster performance over the third quarter a "localized issue." Throughout, Flannery remained steadfastly optimistic about his plans to turn around the company. After 30 years working at GE, he said he was ready to hit the ground running as soon as he took over as CEO and chairman. Flannery has been at the helm of GE since the beginning of August. "Mr. Flannery will do what's necessary, I am very glad he came forward and was tougher than I am about what happened with that previous regime, because now we can go forward with a company that was once a great American company and put it back together again and hope it's not Humpty Dumpty. And I don't think it is, because I think Flannery is the real deal," TheStreet's Jim Cramer said. "The first year is tough. There's a lot of work to do, heavy lifting to do, but the team is determined," Flannery said to CNBC. He added that he remains optimistic about the "multi-year" turnaround journey. "It's show-me time," Flannery said. "No words are going to get us out of where we are, only the results." Which of GE's businesses are on the chopping block? General Electric is a holding in Jim Cramer's Action Alerts PLUS Charitable Trust Portfolio . Want to be alerted before Cramer buys or sells GE? Learn more now.